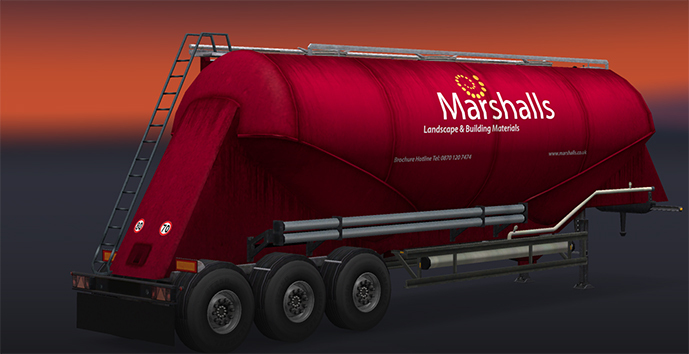 Both Yorkshire Tea and Marshalls PLC have been updated to include AI truck traffic. Marshalls includes an MP4 truck skin for the bricks trailer as well as a purchasable skin for your own truck. Because Marshalls is a company replacement it will remain on the company/trailer page. The Yorkshire Tea mod now has an AI DAF (based on Ohaha’s edit) that uses the same four skins as the purchasable skins. Apologies for the lack of credits for the brick trailer model. I downloaded the mod some time ago and cannot remember who made the model or where I got it from. 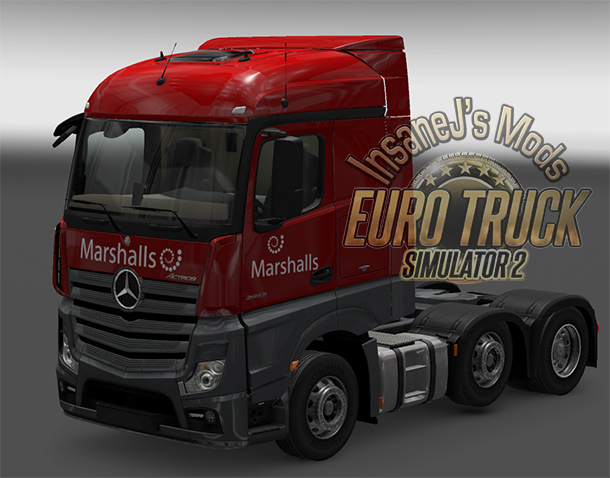 I’ve decided to make a few updates to the Marshalls PLC (with cargo) mod for FCP replacement. The mod now includes three new trailers with one cargo each. Please note because of the internal changes, this may cancel your current job even if you are replacing it for my old one.